Exclusive flights from Teesside Airport to Iceland! Posted on 3rd September 2018 at 1:52 pm. Posted on 31st January 2018 at 12:45 pm. We all know it’s the people that make history happen. 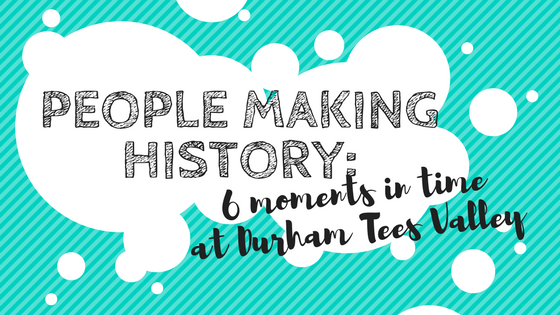 Here are six top moments you didn’t know happened in Durham Tees Valley Airport history (MME). Posted on 10th March 2017 at 11:19 am. Durham Tees Valley Airport new potential owner is a candidate for their first mayor, after showing intentions to buy the airport. The Conservative candidate, Ben Houchen, says that the £15 million annual mayor budget will help him to fund his purchase of the airport back into public ownership. Durham Tees Airport to benefit from expansion. Posted on 2nd November 2016 at 11:15 am. The go ahead for the third runway isn’t just good news for Heathrow; the planned expansion will act as a positive influence on Durham Tees Valley Airport too as it promises to connect it with other key international hubs. The intention from MPs is to also keep pressure on Heathrow to ensure Teesside benefit too. Posted on 15th March 2016 at 4:35 pm. Posted on 15th May 2011 at 2:47 pm. Spain, including the Balearic and Canary islands, is the most popular flight destination for travellers in the northeast of England, according to local newspaper, the Sunday Sun. The news means that the growing popularity of resorts in Turkey and Eastern Europe is not affecting the sale of tickets on more traditional routes, such as Alicante, Tenerife, or Palma de Mallorca. Posted on 5th May 2011 at 12:30 pm. Throughout summer 2011, KLM, one of the largest carriers in the world, will operate three flights a day from Durham Tees Valley Airport to Amsterdam Schiphol Airport in Holland. The route, which has been described as a “major benefit” to northeast business, is being sold on the strength of Schiphol’s links to long-haul destinations, such as New York in the US, Frankfurt in Germany, and Hong Kong in China. Posted on 8th February 2011 at 5:12 pm. Whilst several UK airports defied the odds (and volcanic activity) to post growth in 2010, a far greater number succumbed to snowfall and the recession, and ended the year in a disappointing slump. However, few airports can claim to have suffered as much as Durham Tees Valley. The Darlington hub has lost almost 700,000 passengers since 2006, including 63,000 in 2010 alone. Posted on 21st October 2010 at 4:02 pm. From November 15 2010, visitors passing through security at Durham Tees Valley Airport will be charged for the privilege. Posted on 17th May 2010 at 2:53 pm. Durham Tees Valley Airport stands to recover millions of pounds in lost revenue, after defeating budget airline, BMIbaby, in a landmark legal battle. The carrier pulled its planes out of Durham in 2006, costing the airport ‘huge sums’ in retail profits and landing fees, and breaching a service contract with current owner, Peel Airports.